Designing an employee benefits strategy can be frustrating. But understanding the health care supply chain can help business owners reduce costs while offering quality benefits to workers. Robert Gearhart Jr. of DCW Group tells you what you need to know in Employee Benefits 101. 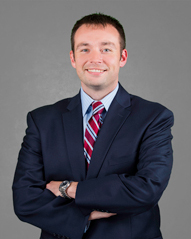 Bob Gearhart Jr. was named Rising Star in Advising by Employee Benefit Advisers magazine, a finalist for Broker of the Year by BenefitsPRO magazine, and has been awarded multiple awards by the Association for Insurance Leadership. He is a nationally recognized speaker on health care and employee benefits frequently appearing on radio, television, and in print to provide expert knowledge concerning the ever-changing landscape surrounding health care in America. Gearhart Jr. also co-authored the Amazon best selling book “Breaking Through the Status Quo: How Companies Are Changing the Benefits Game to Help Their Employees and Boost Their Bottom Line.” In the book, Gearhart Jr. explains the power of data analytics to inform and guide decisions that can lower health-care costs in group health plans. In his current role at DCW Group, he and his team relentlessly focus on delivering measurable, repeatable, and predictable reductions in health-care costs for their employer clients while simultaneously improving the benefits for their employees.